Our son, after receiveing PADI E-learning Diving Certificate wanted to get an Open Water Diver Licence. 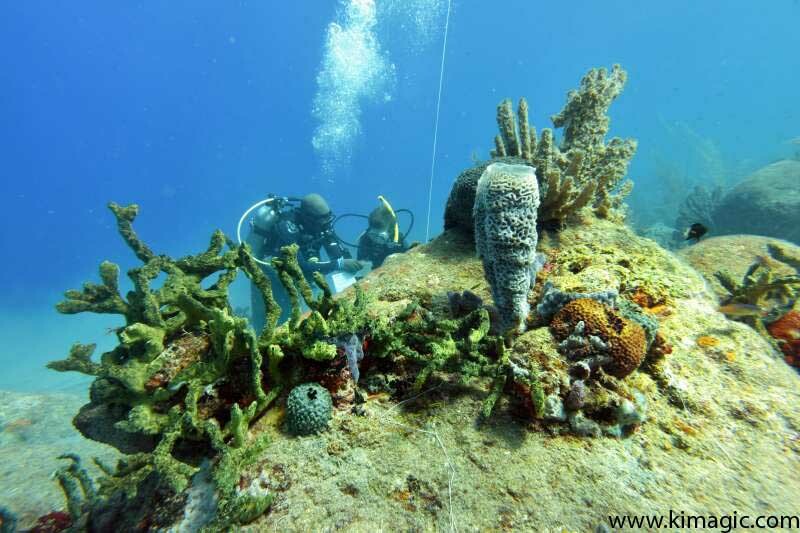 We planned to visit St.Lucia in November, and found it will be a good option to combine vacation with 3 day practice diving course with DIVE SAINT LUCIA. We booked Bay Gardens Inn. 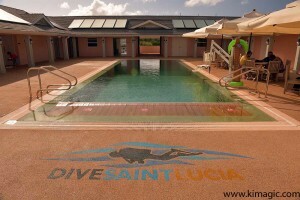 It’s in walking distance to Dive St.Lucia facilities, where our son for three days was training to pass Deep Water Diver Licence. This state-of-the-art facilities with modern pool, and own moorings, offered good price for licencing. 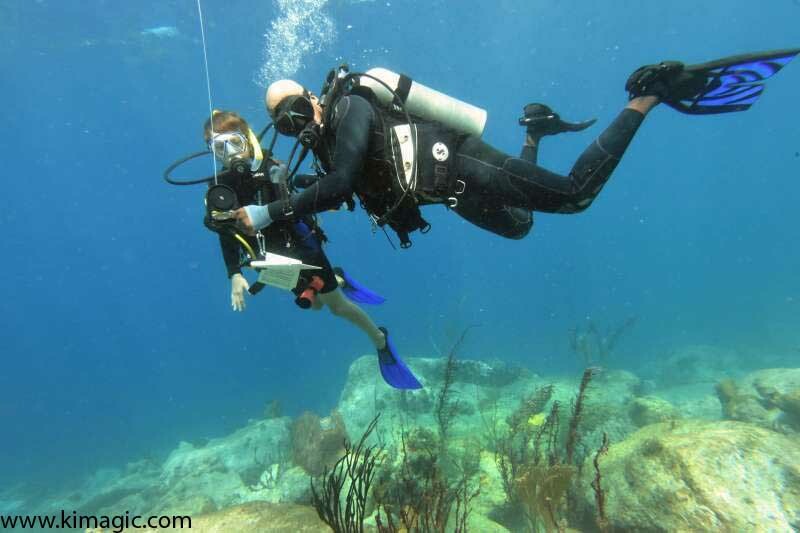 Actually it’s also fun for the day trip with divers..
On the last day of practicing, we booked a diving trip for the whole family. This was a good treat for all. We enjoyed the speedboat trip down to Soufriere, snorkelled and suntanned while our son was diving. 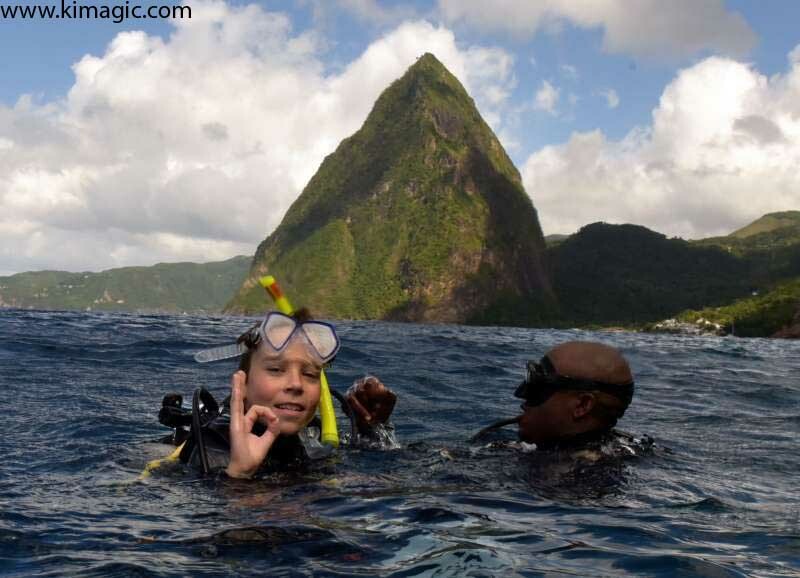 Actually I did one dive with my son and instructor at the foot of Petite Piton. Lots of coral reefs and fish. 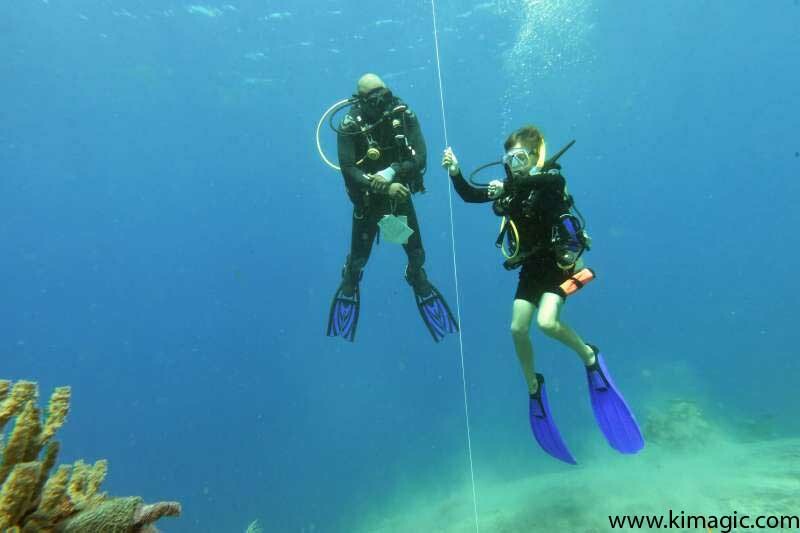 The other dive was at Anse Chastanet, and my son had a chance to encounter with two turtles. The views of Pitons from the boat as much spectacular as from nearby expensive resorts. For the second half of our vacation we moved to South East, Praslin Area, where Mamiku Gardens and Piece-of-Paradise , to our family favourite Fox Grove Inn, our home-from-home. This time we got two bedroom apartment ( for the price of one room in Bay Gardens Inn). It was our special treat… We spent time in the pool (which is double size than in Bay Gardens Inn ) ,or playing ping pong, billiards, chess and puzzles , or hiked the road to beautiful vistas. The owners, Esther and Franz as usual were sweet and helpful at any our request. If traveling as a couple , or alone, the best option will be to have a room with breakfast, and have optional lunch and dinners, but if traveling with children, especially for longer period, we prefer to book two-bedroom apartment, and have full independence, having equipped kitchen. At Fox Grove Inn we usually enjoy hiking into tropical forest, while birdwatching, find and photograph some exotic flora. September 2, 2015 – Cap Estate, Saint Lucia – Cap Maison, the popular five-star resort on Saint Lucia that’s been ranked as one of the top in the Caribbean by Travel + Leisure 2014 World’s Best Awards, has been named a Wine Spectator Restaurant Award Winner for the third consecutive year. The resort’s restaurant, The Cliff at Cap, was singled out for a cellar strong in both French and California offerings. Cap Maison’s wine is housed in the 2,000 plus bottle temperature controlled Cellar Maison, a dark and welcoming cave that also serves as an elegant private dining room for Cellar Maison Wine Pairing Dinners and daily Tastings. There are hand-picked wines from nearly a dozen countries, from enjoyable and unpretentious grape varietals from the new world to high end wines that have been only modestly marked up so that more guests can enjoy them. Many of Cap Maison’s wines are available by the glass and the wine list includes rare champagnes, grand cru Bordeaux, fine Burgundies, orange wines and a notable selection of natural and biodynamic wines, most of them made in small quantities by family wineries in France. These organic wines are distinguished by low intervention and they are distinguished by being both low in sulphur and not having any added yeast. In Cellar Maison, a cozy lair with beamed ceiling, brick floor and wooden wine shelves and bins surrounding a tasting table and chairs, guests can enjoy Wine Tastings during the week with flights of unique wines, paired with a delectable assortment of amuse-bouche and interactive discussions guided by the Sommelier, Robinson George. The Cap Maison wine team can also send a favorite bottle of bubbly via the resort’s Champagne Zip line straight from the bar to the private dining venue, Rock Maison. For added drama, they willingly demonstrate the Napoleonic tradition of sabering a bottle of champagne using the blade of a knife. Join the Sommelier for an evening of delicious food and fine wine with special pairings and blind tastings. This is a relaxed and sociable events for six to 11 guests, during which Chef Craig Jones of Cliff at Cap serves an artisanal menu to go along with the chosen wines. Reservations are required and the cost is $150 per person. 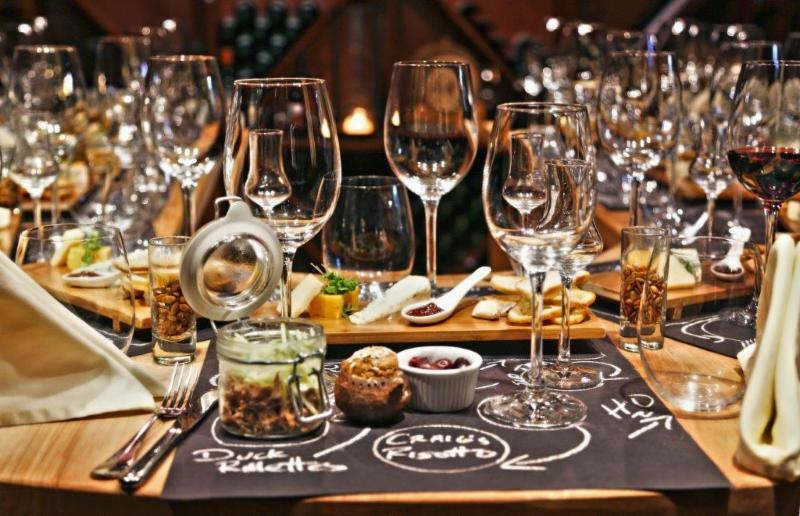 Ever Friday evening between 6:30 and 8:30pm, guests have the opportunity to learn a little about the art of pairing artisanal food with wine in the relaxed and informal atmosphere of Cellar Maison. The cost is $95 per person. This is a fun learning experience that allows guests to taste both Old World and New World Wines. Offered daily, reservations are required and the cost is $75 per person. Prepared and conducted by Sommelier Robinson George daily. Reservations are required and the cost is $100 per person. Visit Cap Maison for more information on the resort’s wine programs. Cap Maison debuted on Travel + Leisure 2014 World’s Best Awards with an impressive ranking of #2 in the Caribbean. A member of Virtuoso and Preferred Boutique Hotels, and a Fodor’s 100 World’s Best Hotels 2014, Cap Maison is set on a dramatic four-acre cliff just north of popular Rodney Bay and features 50 artfully appointed suites and guest rooms. Cliff at Cap, the resort’s signature restaurant with breathtaking panoramic views of the Caribbean, holds 3 consecutive Awards of Excellence from Wine Spectator magazine. Under the direction of Executive Chef Craig Jones, the white table cloth, oceanfront restaurant serves a French West Indian-inspired contemporary menu. The resort’s newest dining venue is The Naked Fisherman Beach Bar & Grill. The resort features a serene 2,000 square foot spa and a private 46-foot luxury yacht, Cap Maison 1. For bookings and more information, guests may call Reservations toll free at 1-888-765-4985 or send an email to reservations@capmaison.com, or visit the website at www.capmaison.com. April 1, 2015 – Cap Estate, Saint Lucia – Cap Maison, the popular five-star resort on Saint Lucia ranked as one of the top in the Caribbean by Travel + Leisure 2014 World’s Best Awards, has long been a haven for families. The spacious Villa Suites provide guests with the sense of having their own private Caribbean home, with fullyequipped kitchens, separate living and dining areas and large verandas. 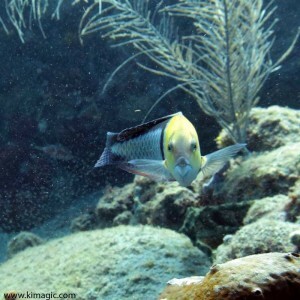 Cap Maison’s protected beach is perfect for snorkeling, sand castles and sand buckets. This summer, Cap Maison unveils its Family Time program, designed to help families make the most of their Caribbean vacation and their time together. In includes savings of up to 30% on Villa Suite rates, free dining for kids under the age of 11 and complimentary babysitting one evening per week. The highlight of Family Time is the introduction of the new Cap Maison Children’s Club, available this summer for children ages 3 to 11. Overseen by a full-time experienced Children’s Club supervisor, the program will offer a wide range of outdoor and indoor activities to keep the little ones engaged. There will also be a soft play area, kid’s books, as well as movies, toys and Wii games. Rates start at $495 per night for a 2-bedroom Courtyard Villa, not including taxes. A savings of 30% on a 2 or 3 bedroom Villa Suite. Free second bedroom for accompanying children up to 16 years of age in when parents have booked a 2 or 3 bedroom Villa Suite. Children ages 11 and under eat free when dining with their parents. Children 12 to 16 years old enjoy a 50% discount on meals taken, or on the Half Board or Cap it All Inclusive supplements. Complimentary 3 hours of evening babysitting once weekly for up to 2 children from ages one to 12 years. Complimentary Children’s Club program July 1 to September 15. Cap Maison debuted on Travel + Leisure 2014 World’s Best Awards with an impressive ranking of #2 in the Caribbean. A member of Virtuoso and Preferred Boutique Hotels, and a Fodor’s 100 World’s Best Hotels 2014, Cap Maison is set on a dramatic four-acre cliff just north of popular Rodney Bay and features 49 artfully appointed suites and guest rooms. Cliff at Cap, the resort’s signature restaurant with breathtaking panoramic views of the Caribbean, holds the Award of Excellence from Wine Spectator magazine. Under the direction of Executive Chef Craig Jones, the white table cloth, oceanfront restaurant serves a French West Indian-inspired contemporary menu. The resort’s newest dining venue is The Naked Fisherman Beach Bar & Grill. The resort features a serene 2,000 square foot spa and a private 46-foot luxury yacht, Cap Maison 1.For bookings and more information, guests may call Reservations toll free at 1-888-765-4985 or send an email to reservations@capmaison.com, or visit the website at www.capmaison.com. Cap Estate, Saint Lucia, West Indies – September 27, 2013 – Fodor’s Travel, the leading name in travel guides for 77 years, today announced that Cap Maison, a luxurious five star resort on Saint Lucia, has been recognized as a 2013 Fodor’s 100 Hotel Award winner. This distinction designates Cap Maison as an outstanding “Home Suite Home,” hotel as selected by Fodor’s editors and travel experts. Cap Maison is one of just 13 hotels from around the world to place in this category, being recognized for its high style and pied-à-terre feel. Cap Maison Suites were singled out by Fodor’s for the added bonus of having spot-on concierges, hotel services-plus a ready-made social scene, should one wish to mingle in the hip lounges or guest-only gardens. Fodor’s Travel, an imprint of Random House LLC, a Penguin Random House Company, is one of the world’s leading providers of travel information. Each year, Fodor’s Travel invites their roster of 500 local contributors around the world to nominate the best hotels in their destinations. Fodor’s senior editorial team deliberated on over 4,000 Fodor’s Choice picks and new property reviews, poring over the list for months. Cap Maison, set on a stunning four-acre, cliff-top parcel of land just minutes north of popular Rodney Bay, features 50 artfully appointed suites and guest rooms. A member of Virtuoso and Preferred Boutique Hotels, Cap Maison has been a Condé Nast Traveler “Hot List” Hotel and was awarded TripAdvisor’s Certificate of Excellence for 2013, the third year in a row it has claimed the distinction. Cliff at Cap, the resort’s signature restaurant with breathtaking panoramic views of the Caribbean Sea, is where Executive Chef Craig Jones serves a French West Indian-inspired contemporary menu based on fresh local products and seafood. In 2013, it earned its first Award of Excellence from Wine Spectator. The resort features a 2,000 square foot serene spa with an adjacent garden that provides herbs for signature indigenous treatments. Cap Maison’s private 46-foot luxury yacht, Cap Maison 1, is available for evening voyages, wedding parties, special events and day or overnight excursions to any of the nearby Windward Islands. 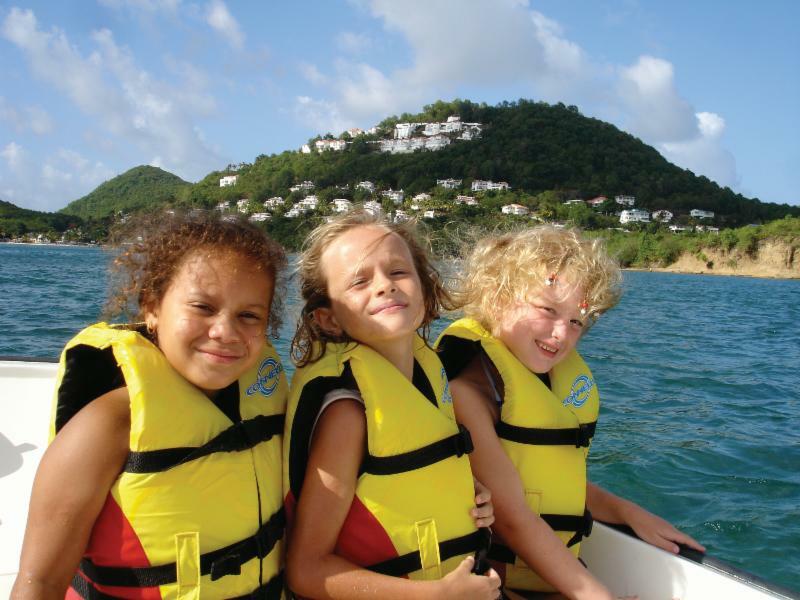 June 6, 2013, Cap Estate, Saint Lucia – Smart families know that summer is value season in the Caribbean and Cap Maison‘s new Family & Friends summer promotion offers remarkable savings of up to 40% over winter prices. It’s an ideal time to discover the 50-room luxury boutique resort on Saint Lucia, which was just awarded TripAdvisor’s Certificate of Excellence for 2013, the third consecutive year it has won the award. Better yet, getting to Cap Maison is easier than ever, thanks to a new United Airlines nonstop flight from Newark Liberty International Airport that departs every Saturday morning at 8:55 am and lands in paradise before 2 pm. Cap Maison has a gracious clifftop setting with roof terraces and pools, overlooking the Caribbean and surrounded by four acres of tropical landscaped gardens. It offers a low key luxury beach holiday that’s designed for family needs. The resort’s spacious villa suites, with balconies or terraces, separate living /dining areas, and fully equipped kitchens that can be pre-stocked, are perfect for families. There’s even better value when families add on a Cap it All all-inclusive package, which includes full breakfast, lunch and dinner at the award winning Cliff at Cap restaurant, as well as house wines & spirits by the glass, local rums, beers and soft drinks. Cap Maison designed Family & Friends to make it easy to bring the kids along. Families travelling with two children or more can book a One Bedroom Villa Suite and receive a complimentary upgrade to a Two Bedroom Villa Suite. Or they can book a Two Bedroom Villa Suite and receive a complimentary upgrade to a Three-Bedroom Villa Suite. Cap Maison’s suites are lavish in size, with one bedroom suites measuring 2,800 square foot, two-bedrooms 3,180 square feet and three-bedrooms 3,640 square feet. Every stay includes one complimentary evening of babysitting (4 hours). The suites are steps away from Cap’s series of infinity pools. Most families will want to spend part of their day on Cap Maison’s secluded Smugglers Cove, a sandy beach that is among the Caribbean’s most beautiful. This beach is ideal for swimming and snorkeling, and families have unlimited use of kayaks, Hobi cats, snorkeling gear and windsurfers (lessons available). Not far from Cap Maison are horseback riding and a zip lining course through the rain forest that will excite both child and adult. Grownups can expect champagne on arrival, and the Family & Friends offer lets children under 12 eat free when dining with parents – from an innovative Kids menu that emphasizes fresh, natural ingredients. For bookings and more information, guests may call Reservations toll free at 1-888-765-4985 begin_of_the_skype_highlighting 1-888-765-4985 FREE end_of_the_skype_highlighting or send an email to reservations@capmaison.com, or visit the website at www.capmaison.com. May 29, 2013, Soufrière, St. Lucia, West Indies – Saint Lucia’s newest line of elegant Suites and one glorious Villa at Paradise Ridge are now officially open at Ladera as of this spring. Newly constructed on a previously undeveloped parcel of stunning, high-altitude private land immediately adjacent to the resort, Paradise Ridge is surrounded by the naturally lush tropical rainforest and caps a round of luxury developments in the exclusive southern part of the island. Ladera’s new Villa and four Suites at Paradise Ridge offer soaring panoramic vistas of the Caribbean and UNESCO World Heritage Pitons and deliver a standard of service and luxury that are as elevated as the views. Paradise Ridge is accessed from the main part of the resort by a beautifully landscaped foot path. Once guests step over the threshold into the new exclusive enclave – through a dramatic archway crafted in tropical hardwood and traditional island design by on-site artisans – the sense of ultimate privacy, design and elevated luxury become evident. The Villa at Paradise Ridge is Saint Lucia’s newest showpiece. Designed as an idealized romantic hideaway, the lavish 1,700 square foot aerie takes Ladera’s pioneering concept of the three-walled open room design to an even loftier level. There’s an expansive living area appointed with contemporary Dedon furniture, including a dining area, lounge seating and a double daybed. The star attraction is the canopied, four poster King bed, perfectly positioned for endless sea views from this enchanting retreat. As with all of the guest rooms at Ladera, the Villa includes a private pool and commands the only view on the island that directly faces the Caribbean and the Pitons. The Villa at Paradise Ridge is priced at $1,900 per night based on double occupancy, year round. The four new Suites at Paradise Ridge are open aeries with added privacy, generous living areas, expansive bathrooms with Kohler fixtures throughout, four poster canopied King beds, private plunge pools and, of course, the signature views of the Caribbean Sea and the Pitons. The Suites at Paradise Ridge are priced at $1,600 per night based on double occupancy, year round. Guests at Paradise Ridge are exclusively served by Ladera’s new signature Butler Service. From the moment Paradise Ridge guests arrive, they are welcomed by an assigned butler who ensures that all their needs are handled promptly and discreetly. The new bespoke level of service provides private check-in and check-out for those who choose to stay in the Paradise Ridge accommodations. Ladera’s butlers will unpack for guests, take care of dinner reservations and preferential seating at Dasheene at Ladera, and arrange for room service if guests prefer. Butlers also handle tour bookings and spa treatments, reconfirm flights and arrange for transportation to the airport. Both the new Villa at Paradise Ridge and the Suites at Paradise Ridge have locally-woven textiles, local tile and masonry and custom furniture pieces from new Paradise Ridge Collection, hand-crafted on site at Ladera, and available for purchase by guests. 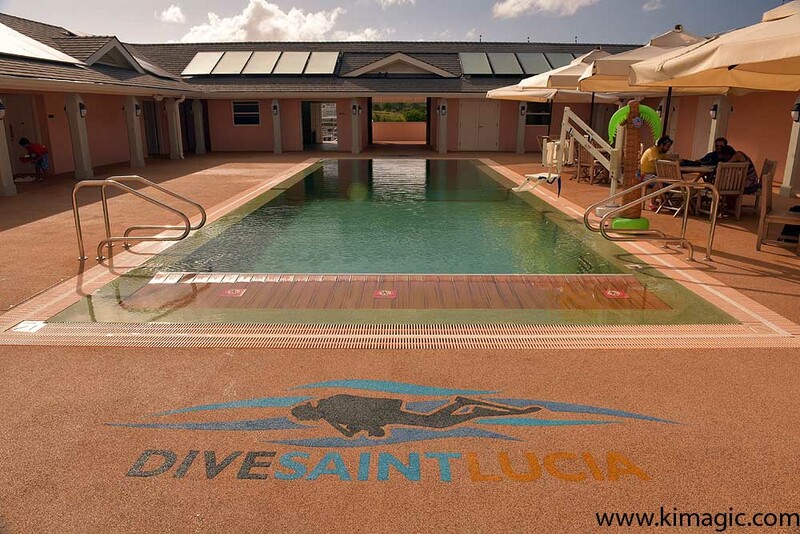 The new Paradise Ridge is not simply the latest luxury development to open in Saint Lucia. The iconic rooms, unique views from 1,100 feet above the Sea and the welcoming Saint Lucian staff, combined with Ladera’s lasting commitment to local cuisine, design and handcrafted local décor, is one of a kind and unforgettable experience of Saint Lucia. New high-res images of Paradise Ridge available upon request. Ladera is the only resort on Saint Lucia overlooking the Pitons, a UNESCO World Heritage Site. The eco-luxe resort is on a forested ridge 1,100 feet above the Caribbean, perched above the port town of Soufrière. Over two decades ago, Ladera pioneered the concept of the open-air, three-walled guest suite that remains its signature design. The only authentic Saint Lucian resort, Ladera prides itself on its handcrafted furniture made by local artisans. A fixture on every major top hotel and awards list, Ladera is a haven for celebrities, honeymooners and trendsetters. Dasheene at Ladera is known for its new approach to fresh cuisine and creative renderings of locally sourced Saint Lucian seafood and produce, as well as its breathtaking views of the Pitons. For reservations and information on Ladera Resort and Dasheene at Ladera Resort, please visit www.ladera.com, or call the hotel directly at 866-290-0978. March 21, 2013. Saint Lucia, West Indies – Peak to Beach is the ultimate romantic vacation on Saint Lucia, a getaway that marries the island’s two iconic luxury hotels, Ladera and Cap Maison. With two packages to choose from, Peak to Beach links these legendary hotels at opposite ends of this tropical island paradise. The formula for Peak to Beach is simple: check in to Ladera, the Saint Lucian eco-luxe resort situated on a rain forest ridge 1,100 feet above the Caribbean Sea and the only resort on the island overlooking the Pitons, a UNESCO World Heritage Site. Over two decades ago, Ladera pioneered the concept of the open-air, three-walled guest suite that remains its signature design. Then transfer by private boat along the spectacular mountainous coast of Saint Lucia to Cap Maison, set on a stunning four-acre, cliff-top parcel of land overlooking a sandy beach just minutes north of Rodney Bay. Designed in the Spanish Caribbean style, Cap Maison features 50 artfully appointed suites and guest rooms. Aimed at romantics of every age, Peak to Beach offers the best of both worlds with two unique six-night packages. Better yet, both summer and fall offer a nearly 15 % savings over winter rates. Thanks to new United nonstop service from Newark that starts in June, getting to Saint Lucia will be easier than ever. The signature six-night, all-inclusive package at Saint Lucia’s two legendary hotels. Three nights in a luxury suite at Ladera with a private plunge pool and unobstructed views of the Piton Mountains, a UNESCO World Heritage Site. Three nights in an Oceanview Villa Suite at Cap Maison with a private infinity pool. All meals, including full breakfast, lunch and elegant dinners at the resorts’ celebrated restaurants: Dasheene at Ladera and Cap Maison’s Cliff at Cap. US$75 beverage credit per room per day at both properties. One 1-hour spa treatment per person, per stay at The Spa at Ladera and one per person, per stay at Cap Maison’s Spa Maison. Ground airport transfers, upon arrival and departure, and transfers between resorts. with an upgrade to the highest level of accommodation at each resort and a private boat transfer between properties along the coast of Saint Lucia. It begins at Ladera with three nights in a spacious open-air Luxury Villa at Paradise Ridge, followed by three nights in one of Cap Maison’s elegant Ocean Villa Suites, with VIP airport services, exclusive spa treatments, all meals and exclusive seating at the resorts’ Dasheene and Cliff at Cap restaurants during the stay and much more. Three nights in a Suite at Paradise Ridge with Butler service, private plunge pool and open terrace featuring unobstructed views of the Piton Mountains, a UNESCO World Heritage Site. Welcome bottle of local signature rum. All meals, including full breakfast, lunch and elegant dinners at Dasheene at Ladera restaurant. $75 per person, per day beverage credit. One in-room Couple’s Massage in the total privacy of Ladera’s Paradise Ridge. Three nights in an Ocean Villa Suite with a roof terrace, private pool and the highest sea views available. Welcome bottle of chilled champagne. All meals, including full breakfast, lunch and elegant dinners at Cap Maison’s Cliff at Cap restaurant. One Couple’s Massage at Spa Maison. *Rates are based on double occupancy for six nights and are subject to taxes and service charges. Visit either hotel website for full details on the Peak to Beach Package Collection. “Peak to Beach” packages may be booked directly through a single call to either hotel, through either hotel’s website, or with a travel professional. Ladera – Guests may call Reservations toll free at 866-290-0978 begin_of_the_skype_highlighting 866-290-0978 FREE end_of_the_skype_highlighting, send an email to reservations@ladera.com, or visit the website at www.ladera.com. Cap Maison – Guests may call Reservations toll free at 1-888-765-4985 begin_of_the_skype_highlighting 1-888-765-4985 FREE end_of_the_skype_highlighting, send an email to reservations@capmaison.com, or visit the website at www.capmaison.com. LADERA Launches Paradise Ridge Furniture Collection! 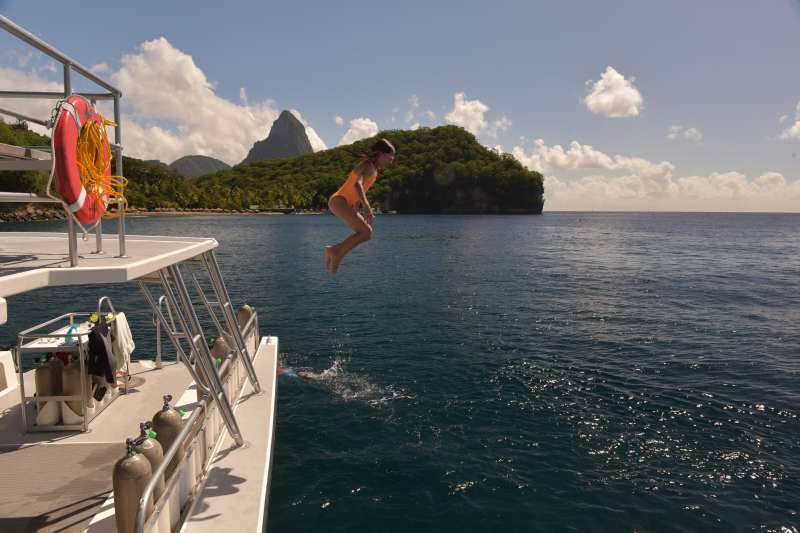 January 29, 2013, Soufrière, St. Lucia, West Indies – Guests who experience the award-winning Ladera Resort always dream of returning home with a piece of paradise. Now they can, thanks to Ladera’s new Paradise Ridge Collection. For the first time, Ladera is offering its guests the opportunity to purchase finely-crafted furnishings, identical to those seen at the resort. In addition to such pieces as the stunning four-poster Ladera Wedding Bed and the Dasheene Wine Room Table, guests may request any custom piece in a size that fits their lifestyle. All furniture is handcrafted on site by Ladera’s staff of full-time artisans. The Collection is being launched in conjunction with the opening of the new Suites at Paradise Ridge next month. Ladera is the only resort in Saint Lucia which supports local artisans to the extent of having a fully staffed wood crafting workshop on site where furnishings have been custom-made since Ladera opened more than 20 years ago. The staff of artisans utilizes a variety of tropical hardwoods that have been carefully harvested by environmentally sensitive methods. They include Blue Mahoe, Mahogany, Red Cedar, Greenheart, Purpleheart, Mabre, White Cedar and Pitch Pine. The Paradise Ridge Collection pieces may be ordered directly through Ladera. Shipping and delivery costs vary according to destination and are extra. Note that the Ladera Wedding bed does not include mattress or box springs. Please visit www.ladera.com, or call the hotel directly at 866-290-0978. Ladera is dramatically situated on a forested ridge 1,100 feet above the Caribbean, perched above the port town of Soufrière. A fixture on every major top hotel and awards list, the groundbreaking luxury resort is a haven for celebrities, honeymooners and trendsetters. Dasheene at Ladera is known for its new approach to fresh cuisine and creative renderings of locally sourced St. Lucian seafood and produce, as well as its breathtaking views of the Pitons. January 11, 2012, Soufrière, St. Lucia, West Indies – Everyone is looking for a Great Escape to the tropics in winter, which is why award-winning Ladera Resort on St. Lucia is offering the Great Escape package. For sun-starved and time-starved visitors, this three night getaway offers the most tropical bang for a short vacation. Add in all meals, most beverages, and a Swedish massage and your stay at luxurious Ladera, high above the Caribbean, is the island fix that everyone needs at this time of year. Thanks to non-stop flights to St. Lucia on American Airlines, Delta Airlines, Jet Blue and US Airways, getting away to the tropics is a fast break indeed. If you can manage to slip away for two extra tropical nights with your romantic partner in hand, then the five-night Romance in the Tropics package is the ideal way to warm up anyone’s wintry heart. The welcome bottle of champagne upon arrival, the daily breakfast and dinner, a sunset cruise and two spa treatments per person are bound to rekindle the sparks. As for the keepsake Ladera bathrobes, they’re to remind you of your tropical tryst long after you’ve returned to winter up north. Package rates based on double occupancy and quoted in US Dollars. Rates subject to a 10% service charge and an 8% government tax. For reservations and information on Ladera Resort and Dasheene at Ladera Resort, please visit www.ladera.com, or call the hotel directly at 866-290-0978 begin_of_the_skype_highlighting 866-290-0978 FREE end_of_the_skype_highlighting. 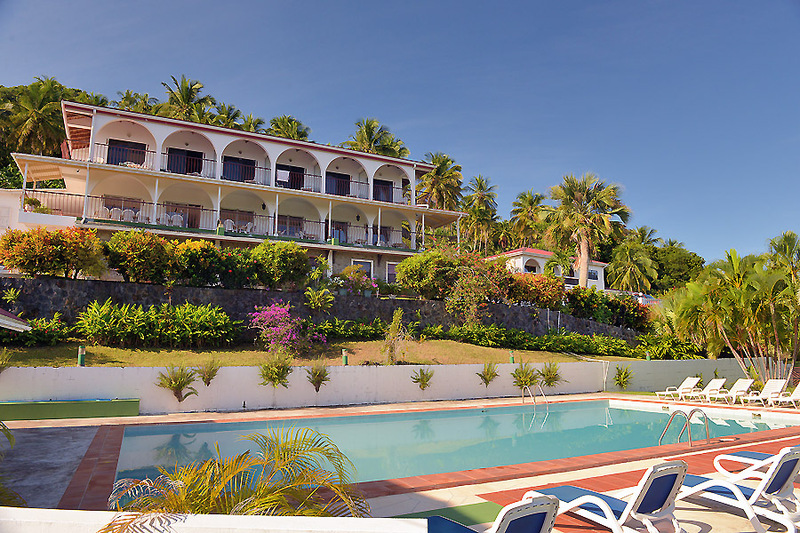 October 4, 2012, Soufrière, St. Lucia, West Indies – Ladera Resort, which is celebrating its 20th anniversary through the end of the year, will reopen its doors on October 12 after its annual closure with a number of upgrades, features and new services. Continuing to evolve as St. Lucia’s original authentic hotel experience, Ladera is creating Paradise Ridge, a private and secluded luxury enclave within the resort for its top tier guests. Paradise Ridge will offer Ladera’s most lavish and spacious accommodations, including St. Lucia’s ultimate Villa, four new luxury Suites, a Yoga Studio and bespoke Butler service for its privileged guests. Ladera is also unveiling a spectacular new Wine Cellar and Tasting Room curated by its new sommelier and welcoming a new consulting Executive Chef to Dasheene at Ladera. Ladera’s new Villa at Paradise Ridge takes the concept of the resort’s most popular Suites to an even loftier level. This lavish and 1,700 square foot Villa is situated at 1,100 feet above the sea, making it the largest and most expensive one-bedroom accommodation directly facing the Pitons at such a high vantage point on St. Lucia. This aerie is designed as the ultimate romantic hideaway. The Villa at Paradise Ridge will welcome its first guests early in 2013 and is priced from $2,100 to $2,700 per night. Four new Suites at Paradise Ridge are also scheduled to open in early 2013 and will feature locally-woven textiles, and custom-made, elegant Colonial four-poster king beds. The large en-suite bath areas will be equipped with water-efficient Kohler fixtures and will include large bottle Molton Brown bath amenities from London. The Villa at Paradise Ridge and the Suites at Paradise Ridge will be provided with Ladera’s new signature Butler Service. From the moment guests of these new deluxe accommodations arrive, Ladera’s exclusive butler service will make sure that all their needs are handled promptly and discreetly. The new bespoke level of service will provide private check-in and check-out for those who choose to stay in the Paradise Ridge accommodations. Ladera’s Butlers will pack and unpack for guests and provide a private orientation of the property.They will also take care of dinner reservations and arrange for preferential seating at Dasheene at Ladera, or arrange for room service. Guests in the new Suites and Honeymoon Villa can expect their Butler to take care of tour bookings and spa treatments, as well as reconfirm flights and transportation to the airport. The new Butlers promise to take Ladera’s fabled service to even higher levels. The new Yoga Studio on Paradise Ridge will offer classes as well as dedicated space for those who choose to do their own yoga exercises in a serene, inspiring setting facing the majestic, volcanic Pitons and Sea views. Dasheene at Ladera’s new Wine Cellar features 1,000 bottles and will offer private dining space for up to 8 guests. The wine cellar is overseen by Dasheene at Ladera’s new Head Sommelier Karim Boulet, who hails from Bordeaux and trained with eight Master Sommeliers during the course of his career. A graduate of the Court of Master Sommeliers, Boulet trained at the Michelin Two-Star restaurant, Lasserre, in Paris, served as Wine Director at The Kitchen in Boulder, Colorado and has worked at Raoul’s in New York City. Dasheene at Ladera also welcomes new Consulting Executive Chef Mark Tan. Chef Tan comes to Dasheene at Ladera from the top-rated XO Le Restaurant located in the prestigious Hotel Le St. James in Montreal, Canada, where he was Executive Sous Chef and Pastry Chef. Chef Tan and Mr. Bottois were part of the team which earned the restaurant’s impressive 4-star rating by The Montreal Gazette. Chef Tan was formerly Chef de Cuisine for Cirque du Soleil and served as a chef at celebrity ski chalets in Courchevel in the French Alps. Ladera Resort, a fixture on every major top hotel and awards list, is celebrating its 20th Anniversary Year in 2012. The groundbreaking luxury resort, a haven for celebrities, honeymooners and trendsetters, is situated on a forested ridge 1,100 feet above the sea, perched above the port town of Soufrière. Dasheene at Ladera is known for its new approach to fresh cuisine and creative renderings of locally sourced St. Lucian seafood and produce, as well as its breathtaking views of the Pitons. For reservations and information on Ladera Resortand Dasheene at Ladera Resort, please visit www.ladera.com, or call the hotel directly at 866-290-0978.